Chandra Andrade specializes in counseling employers in workplace disputes as well as complex commercial litigation. Although she advises clients in a broad range of industries, the bulk of her work is for technology firms, food and beverage companies, and wineries. Chandra handles a wide variety of issues including wage and hour compliance, harassment and discrimination claims, performance management, and workplace policies. Her work falls into two broad categories. First, Chandra is a skillful and effective litigator. 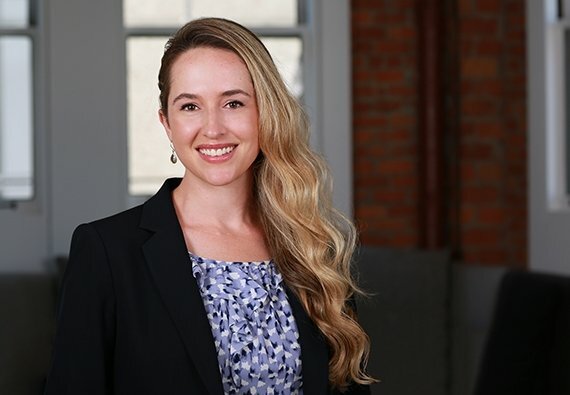 She emphasizes minimizing the disruption to her clients’ day-to-day business operations, while working to bring disputes to an early, satisfactory conclusion. Her experience includes successful early resolution to numerous cases through demurrer, dismissal and favorable settlement. When settlement is not feasible, she is an effective advocate on her feet, with broad experience defending clients at agency, trial, and appellate levels. She is an active member of the Association of Business Trial Lawyers, including serving as chair of the Leadership Development Committee. Second, Chandra increasingly works with clients on compliance, resolution, and proactive litigation avoidance. With a practical, business-oriented approach that seeks the best results in the most efficient manner, she is particularly skilled at working with growth companies that have limited experience with employment issues. Her responsiveness and sensitivity to the day-to-day realities of her clients’ businesses make her particularly effective. Employment law can be an emotionally loaded undertaking – people’s careers are at issue. Chandra approaches potentially volatile situations in a calm, matter-of-fact, and collaborative manner that emphasizes working together to find solutions rather than fault. By recognizing that employment disputes frequently incorporate personal or interpersonal issues, and utilizing both responsiveness and sensitivity, she is a skillful, effective manager of employment-related controversies. I am a senior associate in Farella's diverse, dedicated employment practice where I fiercely advocate for my clients in litigation and provide practical counseling and guidance.